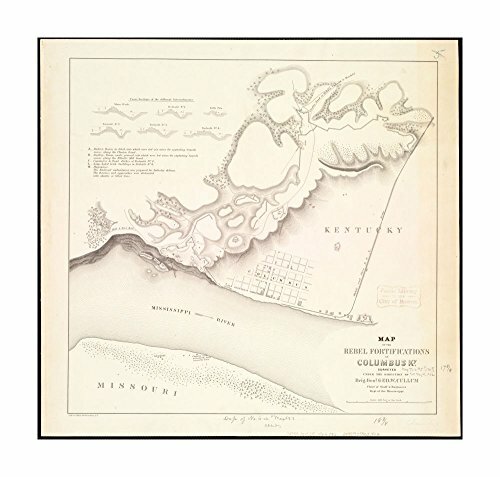 1862 Map Kentucky | Hickman | Columbus of the Rebel fortifications at Columbus, Ky Relief shown by hachures. Gives six "cross sections of the different intrenchments," roads, city streets without names, buildings, drainage, some vegetation, "Mobile and Ohio R.R.," and the location of "abattis or felled trees" which obstructed the approaches to the fortifications. Description derived from published bibliography. 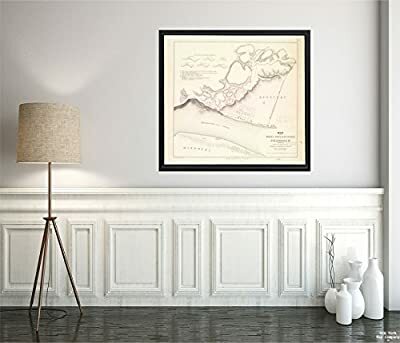 Map Size: 22 inches x 2 feet (60.96cm x 55.88cm)| Ready to frame in standard size frame (22x24) |Frame not included 1862 Map Kentucky | Hickman | Columbus of the Rebel fortifications at Columbus, Ky Relief shown by hachures. Gives six "cross sections of the different intrenchments," roads, city streets without names, buildings, drainage, some vegetation, "Mobile and Ohio R.R.," and the location of "abattis or felled trees" which obstructed the approaches to the fortifications. Description derived from published bibliography. 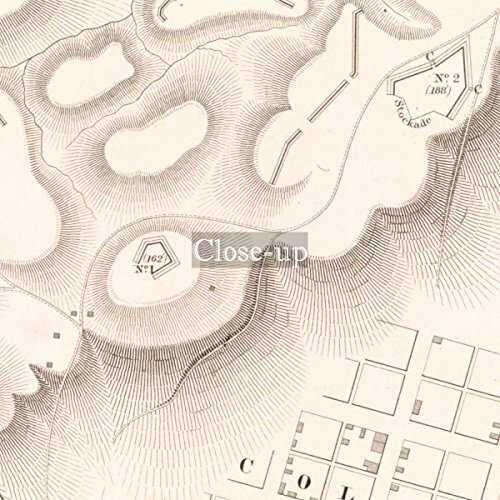 Kentucky > Hickman (county) > Columbus| Notes: Relief shown by hachures. Gives six "cross sections of the different intrenchments," roads, city streets without names, buildings, drainage, some vegetation, "Mobile and Ohio R.R.," and the location of "abattis or felled trees" which obstructed the approaches to the fortifications. Description derived from published bibliography.Subjects: Columbus (Ky.)--Maps This giclée print is produced on thick Fine Art Semi Matte Paper (Weight: 235 g/m2, Thickness: 10 mil, ISO brightness: 95%) and coated with a satin finish that maintains vivid colors and faithfulness to the original map. Your giclée print is Archival Quality and guaranteed not to fade for 200+ years.